Although the word innovator is one of the most overused words in the English language nowadays, it perfectly describes Holger Czukay who cofounded Can in 1968. This was the start of a near fifty year career where Holger Czukay continued to make groundbreaking music, and push musical boundaries to their limits, and sometimes way beyond. That had was the case throughout his long and illustrious career. Sadly, on the ‘5th’ of September 2017, one of the cofounders of Can and the founding fathers of Krautrock passed away at Can Studio aged seventy-nine. This came just a fortnight after the death of his wife Ursula Schüring aged fifty-five. Holger was devastated and since then, hadn’t returned to the flat they had shared. Instead, he spent final days at Can Studio in Cologne, which was where he died. This marked the end a six decade career, where one of music’s mavericks produced several classic albums with Can and a string of critically acclaimed solo albums. That was all still to come. The future Holger Czukay was born in March 1938, as Holger Schüring. Holger’s home was what was then called the Free City of Danzig. Nowadays, it’s known as Gdansk. In January 1945, Holger and his family were forced to flee their home. “When I was a child I had to leave my hometown Danzig in Poland. My mother had already bought the tickets for the ship, the Wilhelm Gustlof, when my grandmother warned us that the ‘water hasn’t got any planks.’ I never forgot this sentence, because it saved our lives. We didn’t go onboard the ship, but went to the main station on January 13th 1945. It was a freezing night We were extremely lucky that a train with wounded soldiers picked us up, and they gave us a little bit of room on their mattresses to sleep, and we headed to Berlin. When we arrived I looked out of the window and all I could see were stones and a free field and I asked myself if this can be a capital city?” Having arrived in Berlin, Holger and his family became refugees. Just like so many children, the war had an impact upon Holger’s education. Like so many displaced children, Holger’s education suffered. Despite this, Holger managed to get a job in a radio repair shop. Not only did he learn how to repair electrical equipment, but became fascinated by radio and the opportunities it offered. This would prove crucial to Holger Czukay’s later career. Before that, Holger served his musical apprenticeship. For a three-year period between 1963 and 1966, Holger Czukay was privileged to study music under the legendary Karlheinz Stockhausen. He was: “a true pioneer, Karlheinz was way ahead of time.” It was during his time studying with Karlheinz Stockhausen that Holger met Conny Plank and Irmin Schmidt. Holger remembers “Conny sitting behind him, writing out a score by hand.” At first “Conny was quiet, be we soon became close friends.”As their nascent friendship blossomed, they continued to study with Karlheinz Stockhausen and enjoy what was a truly comprehensive musical education. Karlheinz Stockhausen’s pupils listened as he taught his pupils about aleatoric music, serial composition and musical spatialisation. Karlheinz Stockhausen wasn’t just a “visionary” in terms of electronic music, but was fascinated by aleatoric music. Essentially, aleatory is controlled chance. With aleatoric music, some element of a piece are left to chance. Granted there will only be a certain number of outcomes, but the musician has to choose the outcome they believe is correct. Serialism was another subject Karlheinz Stockhausen was interested in. With serialism, a series of values are used to manipulate musical elements. This form of composition fascinated Karlheinz Stockhausen. So did musical spatialisation, which would influence Can. Karlheinz was an evangelist, encouraging his pupils, including Holger Czukay, Irmin Schmidt and Conny Plank to investigate, examine and scrutinise each of these subjects between 1963 and 1966. For Holger, he could have asked for a better musical education. He admits “Karlheinz taught me so much, including importantly to: ‘find your own sound. '” Holger never forget those words of advice. They became his musical mantra when eventually, he decided to make a career as a musician. However, when Holger finished studying with Karlheinz Stockhausen in 1966, he became a musical teacher. Having graduated, Holger was enjoying life as a music teacher. Holger was enjoying his newfound career as an educator. He wasn’t a fan of pop or rock music. That was about to change in 1967. Much of the music that went on to influenced Holger was heard whilst spending time with his friends. He remembers: “sitting in a friend’s flat looking through piles of albums. We’d study the sleeve-notes and then spread the album covers all over the floor. We scrutinised them, then immersed ourselves in the music. It was a shared experience. We listened and discussed the music. I can remember these times well.” Listening to Holger speak, it’s obvious that he genuinely loves music and is still a real music fan. His enthusiasm is infectious. So much so, that it’s as if you’re sitting in the flat with Holger and his friends, looking at the album covers, listening to the music and discussing it. Holger remembering those times fondly and still loves vinyl, which he calls: “the perfect medium, you hear the music as you’re meant to.” Listening to Holger, he’s almost evangelic about vinyl. Not compact discs though. “Compact discs reduce music to background music. No longer do you have to immerse yourself in the music. Instead, it becomes background noise.” The last thing Holger wants in music to become an accidental soundtrack to daily life. Music is much more important than that. Especially for someone who founded one of the most influential and innovative groups in musical history, Can. After graduating, Irmin Schmidt headed to New York, where he spent time with avant-garde musicians like Steve Reich, Terry Riley and La Monte Young. Soon, Irmin Schmidt was aware of Andy Warhol and Velvet Underground. This inspired him to form his own band when he returned home to Cologne. The first two new additions were guitarist Michael Karoli and drummer Jaki Liebezeit. Vocalist and New York-based sculptor Malcolm Mooney joined the band midway through 1968. By then, they were recording material for an album Prepare To Meet Thy Pnoom. Two tracks, Father Cannot Yell and “Outside My Door were already recorded. Unfortunately, record companies weren’t interested in Prepare To Meet Thy Pnoom. As a result, it wasn’t released until 1981, when it was released as Delay 1968. Undeterred, Can continued to record what became their debut album, Monster Movie. Despite not being able to interest a record company in Prepare To Meet Thy Pnoom, Can were confident in their own ability. So Can continued recording what would become their debut album Monster Movies. That’s despite being what Holger referred to as: “a poor man’s band.” They didn’t have the equipment that other groups did. What Can had was: “an ambition to create innovative music.” However, before long, there was a problem. David C. Johnson left Can at the end of 1968. He was disappointed at the change in musical direction. Little did he realise that he’d lost the chance to be part of one of the most groundbreaking band’s in musical history, Can. Monster Movie had been recorded in Schloss Nörvenich, a 14th-century castle in North Rhine-Westphalia. Can recorded Monster Movie between 1968 and 1969. It was the released in August 1969. This marked the debut of Can. Their career started as they meant to go on, creating a groundbreaking, genre-melting fusion of blues, free jazz, psychedelia, rock and world music. Monster Movies has a Velvet Underground influence. It’s as if Can have been inspired by Velvet Underground, but pushed musical boundaries to their limits. Throughout Monster Movie, Can improvised, innovated and experimented. Multilayering and editing played an important part in Monster Movie’s avant-garde sound. So did spontaneous composition, which Can pioneered. 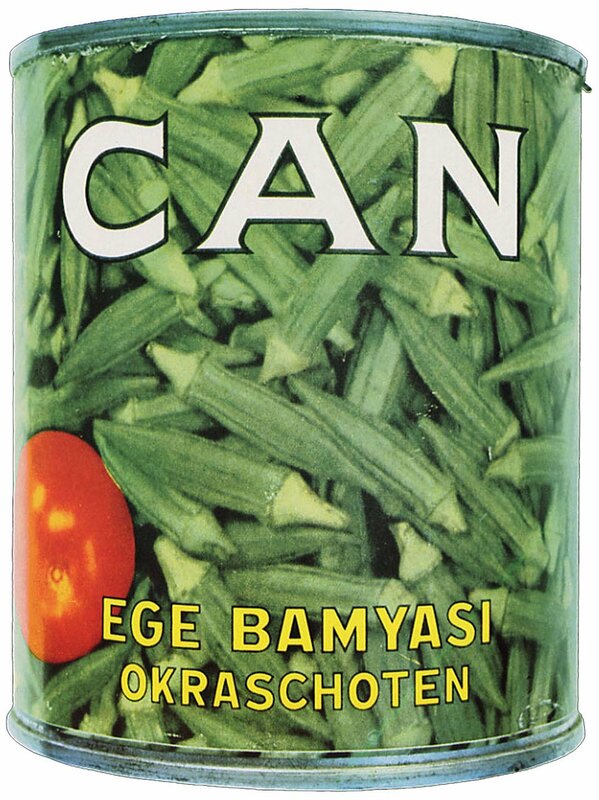 Spontaneous composition was hugely important in Can’s success. Holger remembers “that the members of Can were always ready to record. They didn’t take time to think. It was spontaneous. The music flowed through them and out of them.” Holger remembers that he was always “given the job of pressing the record button. This was a big responsibility as the fear was failing to record something we could never recreate.” In some ways, Can were an outlet for this outpouring of creativity, which gave birth to a new musical genre…Krautrock. This new musical genre was dubbed Krautrock by the British music press. 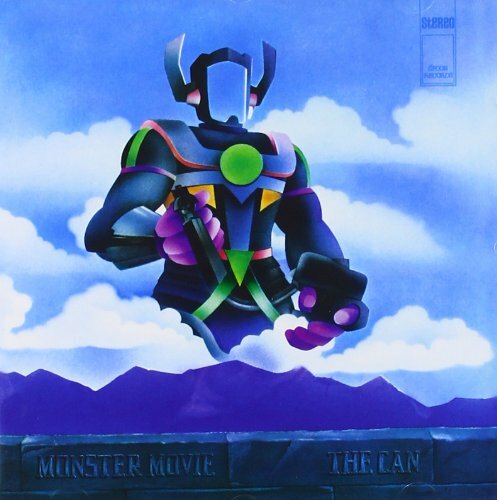 So not only was Monster Movie the album that launched Can’s career, but saw a new musical genre, Krautrock coined. The founding father’s of Krautrock was Can, lead by Holger Czukay. 1969 saw the release of Holger Czukay’s debut album. Credited to the Technical Space Composer’s Crew, Canaxis 5 was a collaboration between Holger and Ralf Dammers. Canaxis 5 is an often overlooked album, which features two lengthy tracks. It shows two innovative musicians pushing the musical envelope, as Can would continue to do. Released in 1970, Soundtracks, was Can’s sophomore album. Essentially, Soundtracks is a compilation of tracks Can wrote for the soundtracks to various films. It’s the album that marked the departure of vocalist Malcolm Mooney. Replacing him, was Japanese busker, Kenji Damo Suzuki. He features on five of the tracks, contributing percussion and vocals. The addition of Damo wasn’t the only change Can were making. 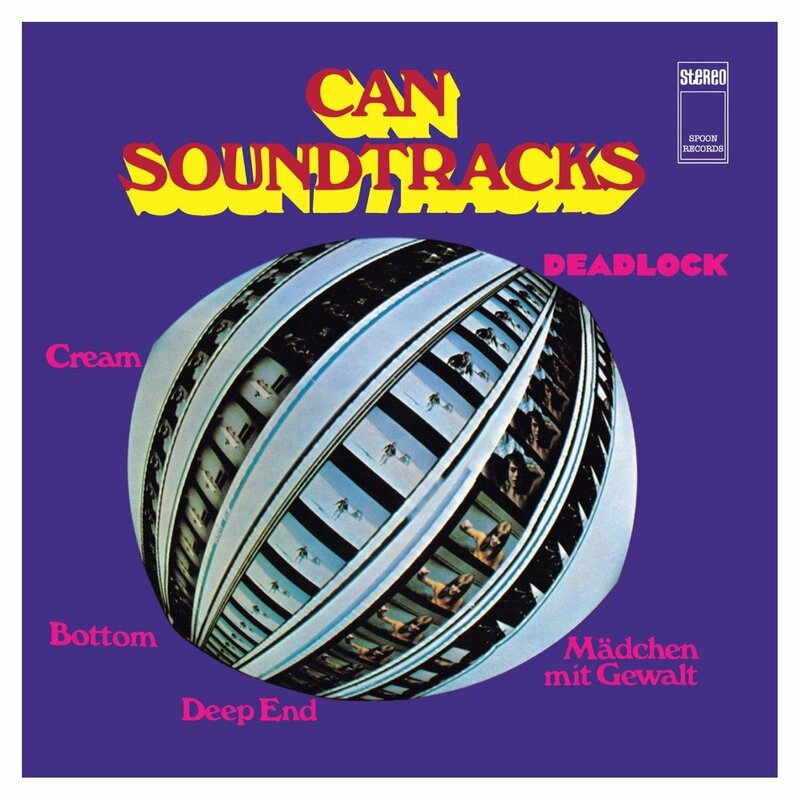 Soundtracks was a coming of age for Can. It marked a move away from the psychedelic jams of Monster Movie and a move towards their classic sound. That saw the music becoming much more experimental and avant-garde. The music took an ambient, meditative, mesmeric and thoughtful sound. This marked the beginning of what became known as Can’s classic years, when albums like Tago Mago, Ege Bamyasi and Future Days were released. The first instalment in the golden quartet was Tago Mago. 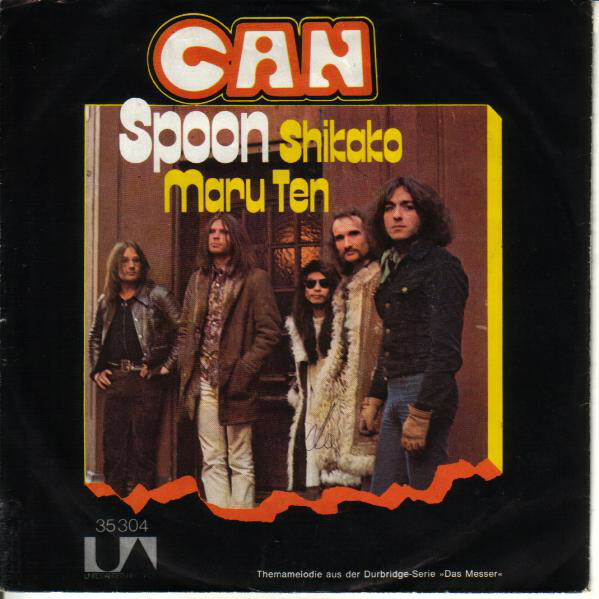 This was the first album where Kenji Damo Suzuki was a permanent member of Can. He and the rest of Can spent a year in the castle in Schloss Nörvenich. It was owned by an art collector named Mr. Vohwinkel. He allowed Can to stay at Schloss Nörvenich rent free. For what Holger described as “a poor man’s band,” this was perfect. Holger remembers Can during this year as “just jamming and seeing what took shape. Songs started as lengthy jams and improvised pieces.” This Holger remembers is “how Can always worked” After that, Holger worked his magic. He edited them and these mini masterpieces featured on Tago Mago, which was four months in the making. For four months between November 1970 and February 1971, Can recorded what would become one of their most innovative and influential albums, Tago Mago. A double album, Tago Mago featured seven groundbreaking tracks. Tago Mago was released in February 1971. Straight away, critics realised the importance of Tago Mago. Here was a game-changer of an album. It has an intensity that other albums released in 1971 lacked. Jazzier with an experimental sound, the music is mysterious, mesmeric and multilayered. It’s innovative, with genres and influences melting into one. Nuances, subtleties and surprises reveal themselves. No wonder. Can deliver an avant-garde masterclass. This comes courtesy of jazz-tinged drumming, improvised guitar playing and showboating keyboard solos. Then there was Kenji Damo Suzuki’s unique vocal style. All this, resulted in an album that was critically acclaimed, influential and innovative. 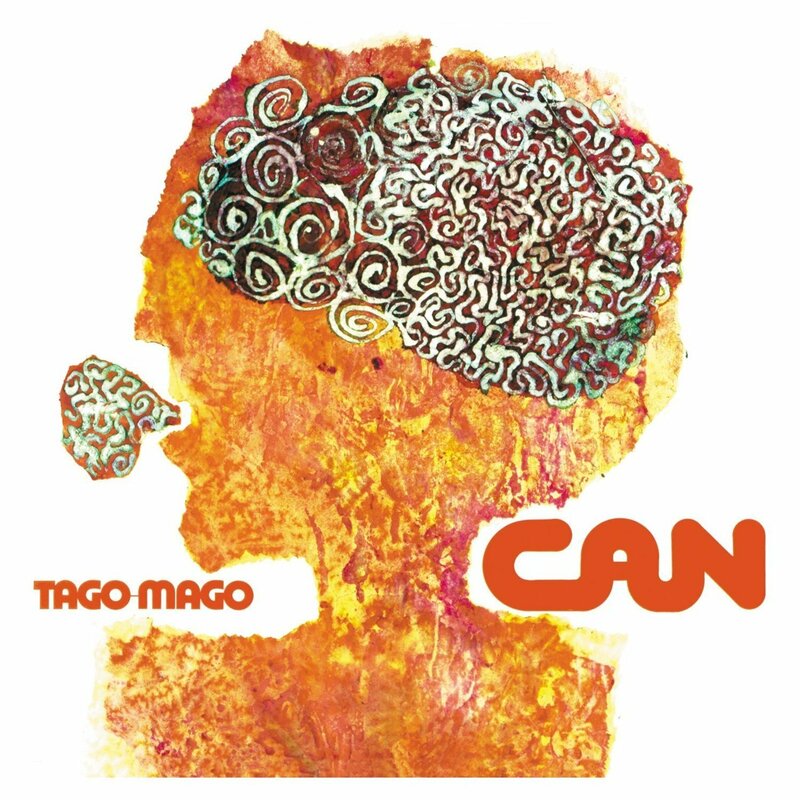 Released to widespread critical acclaim in 1971, Tago Mago was the start of a golden period for Can. Their reputation as one of the most innovative groups of the seventies started to take shape. Can had released one of the most innovative albums, Tago Mago. Holger remembers the reaction to Tago Mago. “I knew Tago Mago was an innovative album, but I never realised just how innovative an album it would become? On Tago Mago’s release, it was hailed as Can’s best album yet. However, not in Holger’s opinion. “Tago Mago is a classic album, but I much prefer Future Days.” Despite Holger’s preference, several generations of musicians have been inspired by Tago Mago, a true Magnus Opus, that belongs in every record collection. So does the followup Ege Bamyasi. Can were on a roll. It seemed they could do no wrong. They released Spoon as a single in 1972. It reached number six in Germany, selling over 300,000 copies. That was helped no end, by the single being used as the theme to a German thriller Das Messer. It seemed nothing could go wrong for Can. The money the made from Spoon, allowed Can to hire disused cinema to record what became Ege Bamyasi. Can advertised for a space to record their next album, Ege Bamyasi. Recording began in a disused cinema, which doubled as a recording studio and living space. The sessions at Inner Space Studio, in Weilerswist, near Cologne didn’t go well. Irmin Schmidt and Kenji Damo Suzuki took to playing marathon chess sessions. As a result, Can hadn’t enough material for an album. This resulted in Can having to work frantically to complete Ege Bamyasi. Despite this, Can were still short of material. So Spoon was added and Ege Bamyasi was completed. Ege Bamyasi was a fusion of musical genres. Everything from jazz, ambient, world music, psychedelia, rock and electronica melted into one. When it was Ege Bamyasi released in November 1972, it was to the same critical acclaim as previous albums. Critics were won over by Can’s fourth album which was perceived as a more accessible album than its predecessors. Just like Can’s previous albums, the quality of music was consistent. Critics hailed Can as one of the few bands capable of creating consistent and pioneering albums. They were one of the most exciting bands of the early seventies. Can were continuing to innovate and influence musicians and music lovers alike. Just like its predecessor, Tago Mago, Ege Bamyasi is an essential part of any self-respecting record collection. Having released two consecutive classic albums and their first single, it seemed nothing could go wrong for Can. Despite Tago Mago and Ege Bamyasi being referred to as two of the most influential albums ever released, Holger Czukay prefers Future Days. This is the album he calls “my favourite Can album.” It was the third in Can’s golden quartet, and marked a change in direction from Can. 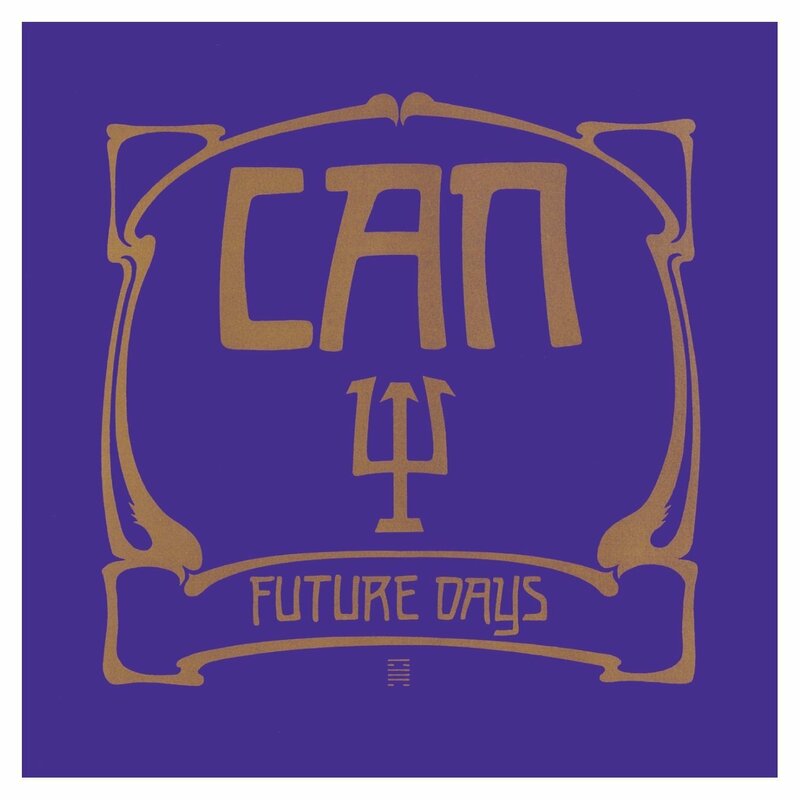 Future Days saw Can’s music head in the direction of ambient music. The music is atmospheric, dreamy, ethereal, melancholy, expansive and full of captivating, mesmeric rhythms. It’s also pioneering and progressive, with elements of avant-garde, experimental, psychedelia and rock melting into one. Rather than songs, soundscapes describes the four tracks. Future Days and Bel Air showcase Can’s new sound. Bel Air was the Future Day’s epic. It lasted just over nineteen minutes, and sees can take you on an enthralling musical journey. Just like the rest of Future Days, critics hailed the album a classic. On its release in August 1973, Future Days was hailed a classic by music critics. 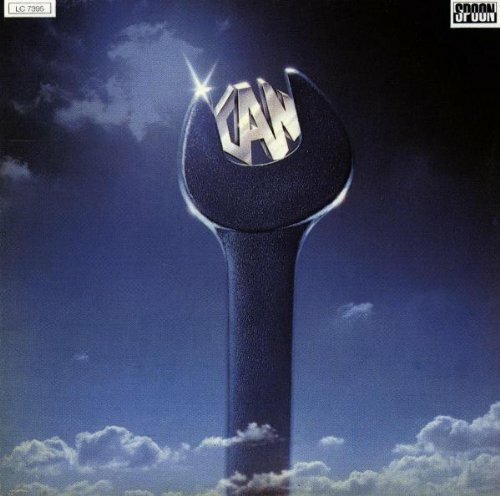 The move towards ambient music may have surprised some Can fans. However, Brian Eno was just one artist pioneering ambient music. This move towards ambient music must have pleased Holger’s guru Karlheinz Stockhausen. He must have looked on proudly as Can released the third of a quartet of classic albums. The final album in this quartet, Soon Over Babaluma was released in 1974. Soon Over Babaluma marked the end of Can’s golden period. It was the end of a period where they were releasing some of their most innovative and groundbreaking music. There was a change of direction on Soon Over Babaluma. Can were without a vocalist. Kenji Damo Suzuki left Can and married his German girlfriend. He then became a Jehovah’s Witness. Despite the lack of a vocalist, Can continued as a quartet. They released Soon Over Babaluma in November 1974. When Can released Soon Over Babaluma in November 1974, it received praise from critics. With a myriad of beeps, squeaks and sci-fi sounds, Soon Over Babaluma is like musical journey into another, 21st Century dimension. A musical tapestry where layers of music are intertwined during five tracks on Soon Over Babaluma. It followed in the ambient footsteps of Future Days and brought to a close the most fruitful period of Can’s career. Following the “golden quartet,” Can didn’t go into decline. Instead, Can continued to reinvent themselves and their music. Landed was released in September 1975. It had been recorded between February and April 1975 at Inner Space Studios. Just like previous albums, Can produced Landed. Holger and Tony Robinson mixed the first four tracks at Studio Dierks, Stommeln. The other two tracks were mixed by Holger at Inner Space Studios. These six tracks marked a change of direction from Can. 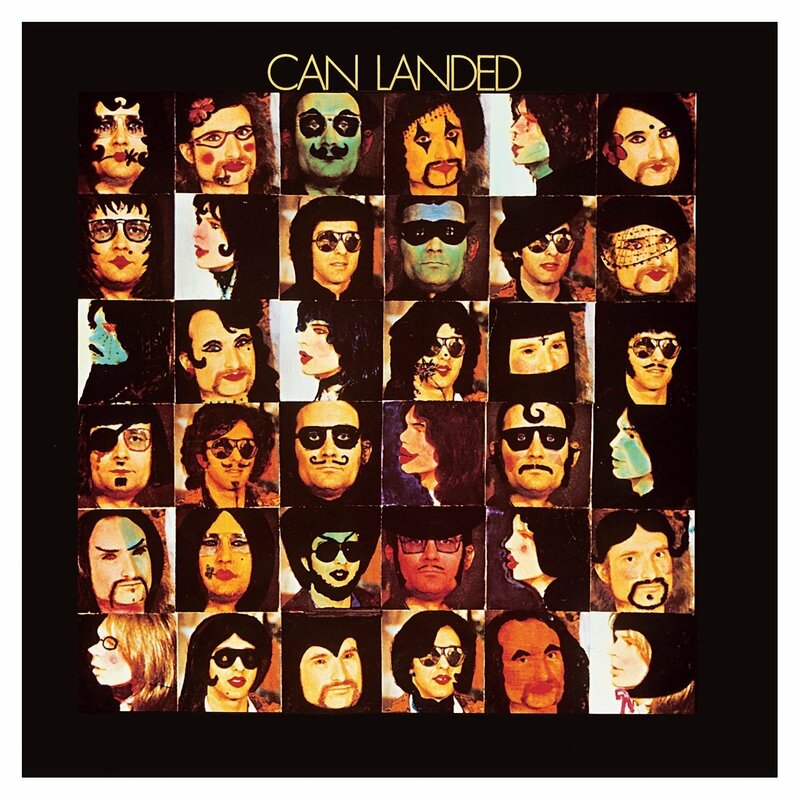 As well as a change in direction musically, Landed was the first Can album to be released on Virgin Records. Gone is the ambient sound of Soon Over Babaluma. Only Unfinished on Landed has an ambient influence. Instead, Landed has a poppy, sometimes glam influence. With uptempo, shorter songs, Landed was a much more traditional album. How would the critics react? Critics were divided about Landed. Some critics saw Landed as the next chapter in the Can story, while others praised the album as adventurous, eclectic and innovative. Others thought Can were conforming. Surely not? Flow Motion was Can’s eight album. As usual, it was recorded at Inner Space Studios. Produced by Can, Flow Motion was an album that drew inspiration from everything from funk, reggae, rock and jazz. It was an eclectic, genre-melting album. It’s also one of Holger Czukay’s favourite Can albums. Holger remembers Flow Motion as an “Innovative and eclectic” album. 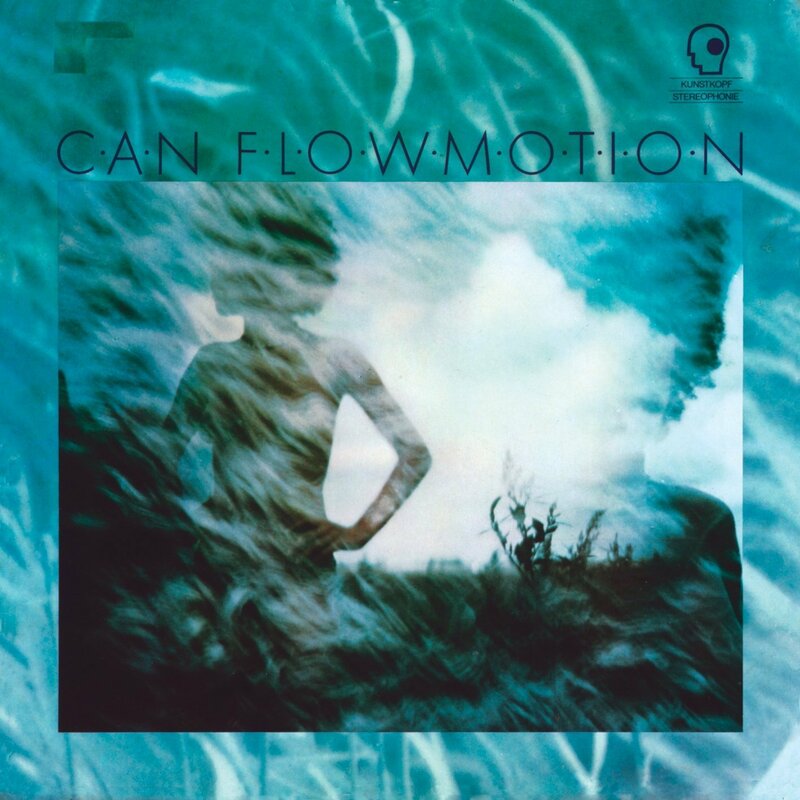 He calls it “one of Can’s underrated albums.” Flow Motion also marked a another change in Can’s way of working. Released in October 1976, Flow Motion featured lyrics written by Peter Gilmour. This was a first. Never before, had anyone outside the band had written for Can. It worked. Can enjoyed their first UK single I Want More. It would later be recorded Fini Tribe and then Italo disco group Galaxis. With what was just their second hit single in seven years, maybe Can were about to make a commercial breakthrough? Sadly, that wasn’t to be. Saw Delight which was released in March 1977, wasn’t the commercial success many people forecast. That’s despite the new lineup of Can embracing world music. Joining Can were bassist Rosko Gee and percussionist and vocalist Rebop Kwaku Baah. They’d previously been members of British rock band Traffic. Rosko Gee replaced Holger on bass. Holger decided to add a percussive element, Holger added a myriad of sound-effects. This was Holger at his groundbreaking best. Experimental sounds including a wave receiver was used. The result was one of the most ambitious albums can had released. 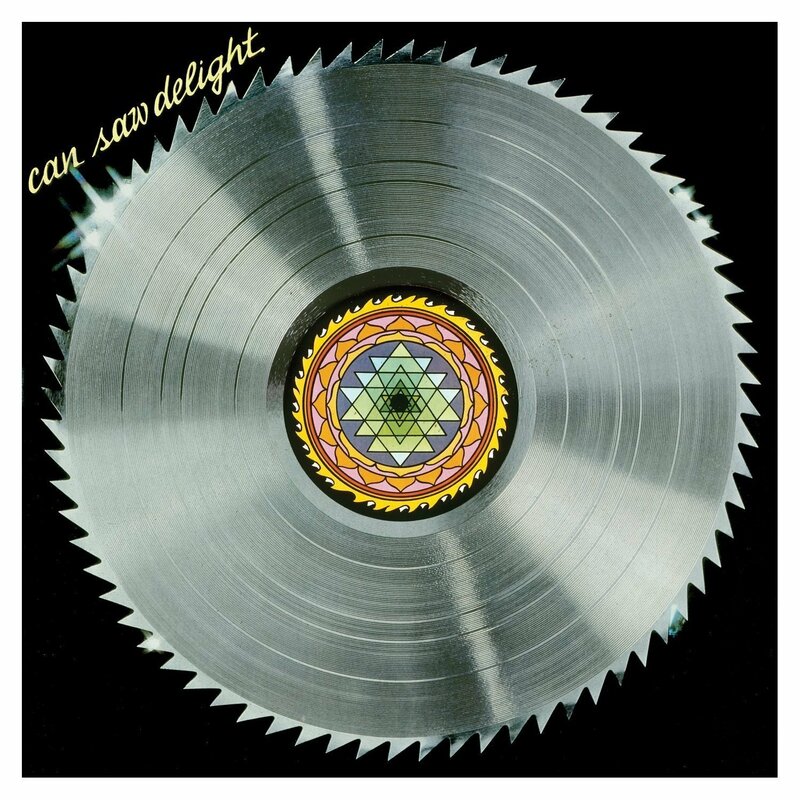 Despite the all-star lineup and a bold, progressive and experimental album, Saw Delight wasn’t a commercial success. It was well received by critics. The problem was, Saw Delight was way ahead of its time. If it had been released in the eighties, like albums by Paul Simon or Peter Gabriel, it would’ve been a bigger commercial success. Sadly, by then Can would be no more. That was still to come. However, things weren’t well within the Can camp. Nine years after Can had released their debut album Monster Movie, they released their tenth album, Out Of Reach. It was released in July 1978. The title proved to be a prophetic. After all, commercial success always seemed to elude Can. 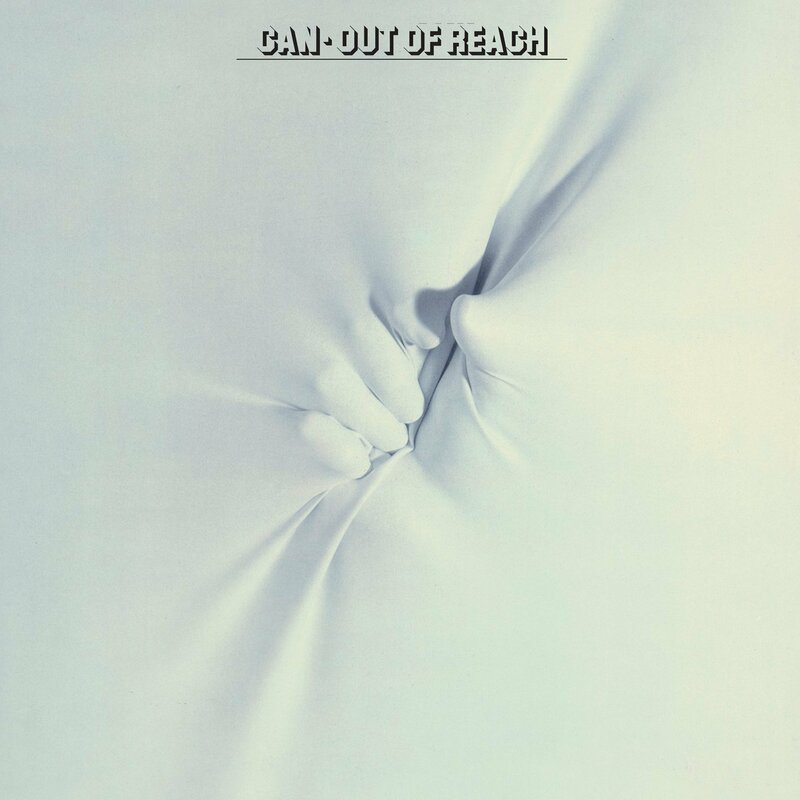 Not only did Out Of Reach fail commercially, but the Out Of Reach proved to be Can’s most controversial album. So much so, that they disowned Out Of Reach. On Out Of Reach Holger was left to add myriad of sound-effects. Bassist Rosko Gee and percussionist Rebop Kwaku Baah of Traffic returned. They were part of the problem. Holger confirms this. “During the recording of Out Of Reach, I felt an outsider in my own group. I was on the outside looking in. I was on the margins. All I was doing was add sound-effects.” For Holger, he felt” his group had been hijacked by Rosko Gee and Rebop Kwaku Baah.” Things got so bad, that Holger quit Can. Rosko Gee and Rebop Kwaku Baah dominated Out Of Reach. Gone was the loose, free-flowing style of previous albums. Even Jaki Liebezeit’s play second fiddle to Baah’s overpowering percussive sounds. The only positive thing was a guitar masterclass from Michael Karoli. Apart from this, things weren’t looking good for Can. It was about to get worse though. The critics rounded on Out Of Reach. They found very little merit in Out Of Reach. Rosko Gee and Rebop Kwaku Baah were rightly blamed for the album’s failure. Even Can disliked Out Of Reach. They later disowned Out Of Reach. Despite this, Rosko Gee and Rebop Kwaku Baah remained members of Can. Unable to play with the necessary freedom Can were famed for, the two ex-members of Traffic stifled Can. Rebop’s percussion overpowers Jaki’s drums, which have always been part of Can’s trademark sound. At least Michael’s virtuoso guitar solos are a reminder of classic Can. A nod towards Carlos Santana, they showed Can were still capable of moments of genius. There wouldn’t be many more of these. Can would breakup after their next album. 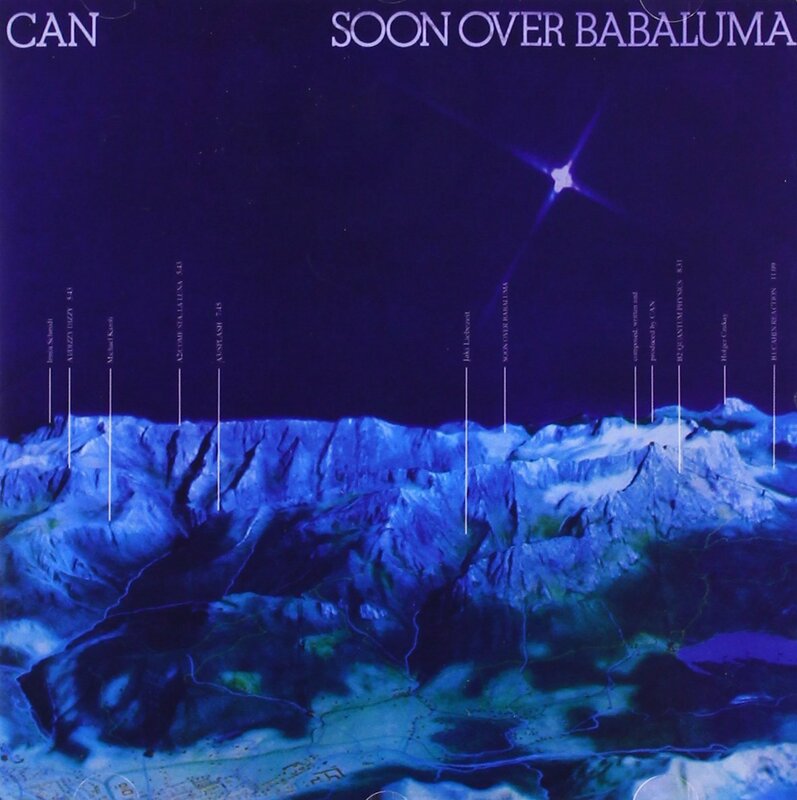 Following the failure of Out Of Reach, the members of Can began recording what became Can. 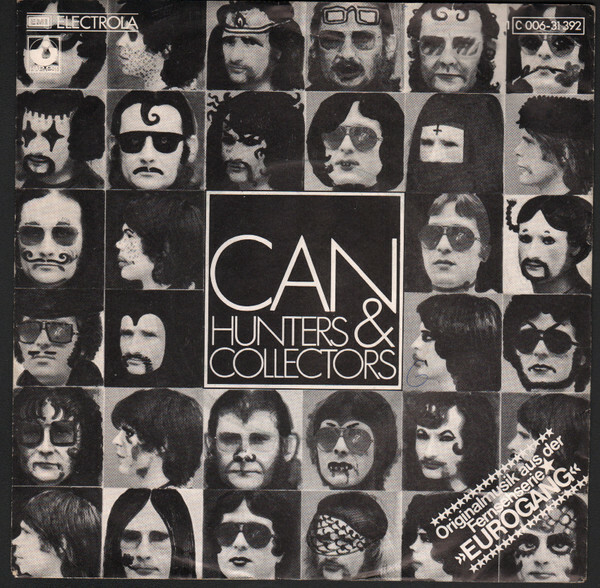 Remarkably, Rosko Gee and Rebop Kwaku Baah were still part of Can. Sadly, Holger was not longer a member of Can. He’d left during the making of Out Of Reach. His only involvement was editing Can. 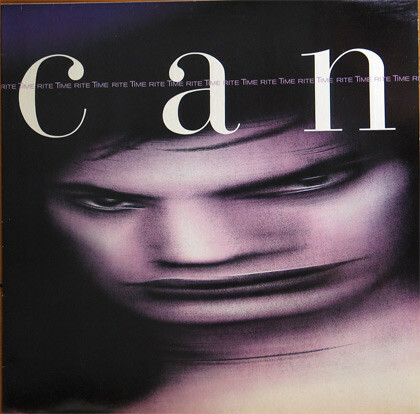 Can, which is sometimes referred to as Inner Space, was released in July 1979. Again, critics weren’t impressed by Can. It received mixed reviews. No longer were Can the critic’s darlings. The music on Can was a fusion of avant-garde, electronica, experimental, psychedelia and rock. Add to that, a myriad of effects including distortion and feedback, and here was an album that divided the opinion of critics. The critics agreed, it was better than Out Of Reach. They agreed that Holger was sadly missed. Can decided to split-up after the release of Can. Sadly, Can was their swan-song. However, even before that, Holger “felt marginalised, this had been the case since he Rosko Gee and Rebop Kwaku Baah became part of Can. They’d hijacked Can.” Now, Holger would embark upon his solo career. The Solo Years Part 1. Holger hadn’t really been making music since 1976. The last two Can albums saw Holger editing the music. So, Holger set about finding “his own sound again.” He’d “been through this with Can,” Now he’d have to do so again. It would be worth it though, when he released his first solo album since 1969s Canaxis 5, Movies. Recording of Movie! took place at Inner Space Studio, Cologne. This was where Can had recorded the best music of their career. It was like a Can reunion. Jaki Liebezeit played drums on Movie! Irmin Schmidt and Michael Karoli played on Oh Lord, Give Us More Money. Even Baah was drafted in to play organ on Cool In The Pool. Holger threw himself into the project. He recorded Movie! and played guitars, bass, keyboards and synths. Then when the four songs that became Movie! were completed, Holger mixed and produced the album. Movie! saw Holger hailed the comeback King. Released to critical acclaim, Movies! was hailed as one of the best albums of 1979. It was an eclectic album. Described as variously psychedelic, cinematic, melodic, moody, understated and progressive, here was the next chapter in Holger’s musical career. The one track that everyone agreed was a minor masterpiece was Cool In The Pool. It was Movies’ Magnus Opus. Holger’s decision to embark upon a solo career had been vindicated. He was back doing what he did best, creating ambitious, groundbreaking and pioneering music. That would continue in 1981, when Holger released On The Way To The Peak Of Normal. For Holger, 1981s’ On The Way To The Peak Of Normal was “one of the albums I’m most proud of. It was also Holger’s first collaboration with Conny Plank. Recording took place in the familiar surroundings of Inner Space Studios, Cologne. 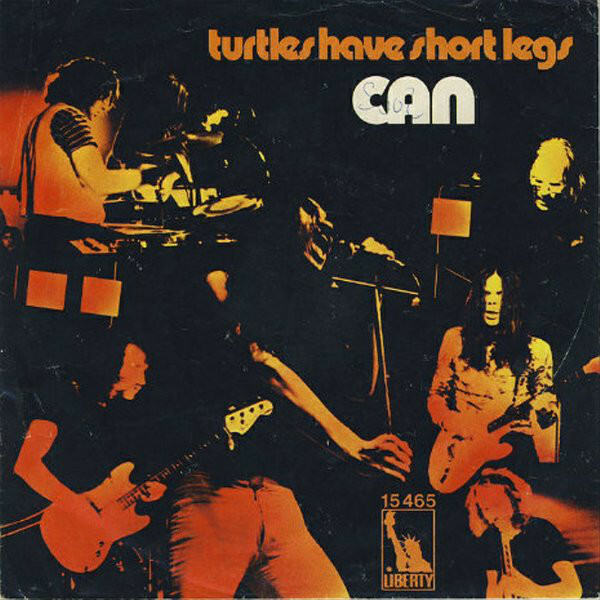 The only member of Can were present was Jaki Liebezeit. Other members of the band included Conny Plank and Jah Wobble, who Holger and would collaborate with on the 1982 E.P. Full Circle and the 1983 Snake Charmer E.P. They’re two of many collaborations Holger would be involved with. That was still to come. Before that, Holger released On The Way To The Peak Of Normal in 1981. Just like the early days of Can, Holger was once again, the critic’s darling. Critics were won over by On The Way To The Peak Of Normal. The album was a fusion of ambient, avant-garde, electronic, experimental, funk, industrial, jazz, psychedelia and rock. Genre-melting describes an album of bold, challenging, innovative, inventive and influential music. It was a case of expect the unexpected on On The Way To The Peak Of Normal, which saw Holger continue to create groundbreaking music. Here, was one of the most inventive albums Holger had recorded. Although Holger had been making music for three decades, he still had plenty to say musically. That would continue throughout the rest of the eighties, with his various collaborations and his 1984 album Der Osten ist Rot. There was a three-year gap between On The Way To The Peak Of Normal and Der Osten ist Rot. During that period, Holger was busy collaborating with other artists. A new generation of artists discovering his music, and Holger was discovering their music. He remembers spending time with Conny Plank in Cologne. Devo and the Eurythmics had been working with Conny. Holger was able to spend time in their company. One night, Holger remembers “Devo jamming, and they asked me to join them. I was impressed by their discipline and stability. It was a pleasure to play with them. Compared to Can in the end, it was totally different and a great experience. Especially with the Eurythmics watching.” Conny Plank, Holger remembers, was a hugely important influence on him and his music. When recording of Der Osten ist Rot began at Inner Space Studios, Cologne, there was still a Can influence. Holger had written six songs and cowrote three with Jaki Liebezeit of Can. Jaki also played drums, piano, trumpet and organ. Conny played synths and Michy took charge of vocal duties. Together, they played their part in another groundbreaking album from Holger Czukay. Released in 1984, critics welcomed another ambitious and groundbreaking album. The combination of Holger, Conny Plank and Jaki Liebezeit had proved a powerful partnership. This is apparent when you listen to Der Osten Ist Rot, which remarkably, was released thirty years ago. Ambitious, progressive and eclectic, Holger and his band weave musical genres. They become something other artists will never have envisaged. These artists however, aren’t a visionary like Holger Czukay. That’s obvious on Der Osten Ist Rot, and its followup. The followup to Der Osten Ist Rot, Rome Remains Rome it would feature a tantalising taste of a musical pioneer who at that time, was at the peak of his powers. That’s apparent on Rome Remains Rome. Rome Remains Rome saw Holger joined by some familiar faces. This included two of Holger’s old friends from Can, guitarist Michael Karoli and drummer Jaki Liebezeit. Bassist Jah Wobble completed what was a fearsome rhythm section. 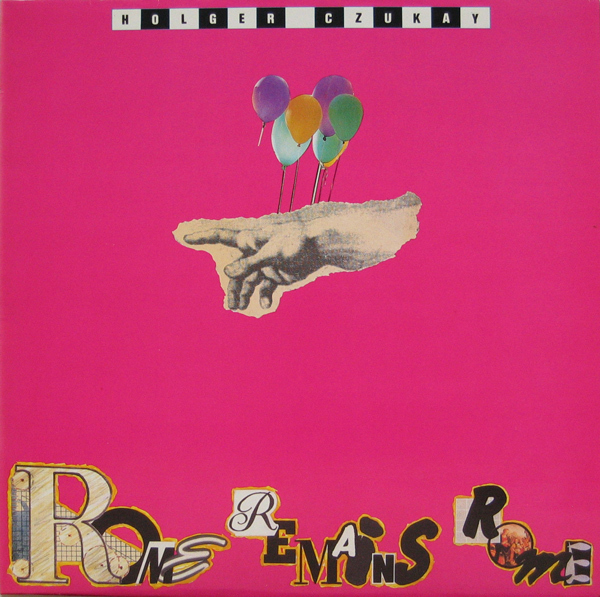 They provided the heartbeat to Rome Remains Rome, which was released in 1987. On its release in 1987, Rome Remains Rome saw the continued reinvention of Holger Czukay. Rome Remains Rome was a fusion of art rock, avant-garde, electronica, experimental and rock. Determined not to stand still, Holger takes you on a mesmeric, genre-melting musical adventure. Veering between musical genres, the album is like a musical tapestry. Layers of music go into the making of Rome Remains Rome. Again, it’s a case of expect the unexpected. No wonder. Holger as always, was a musical chameleon. That’s why no two Holger Czukay albums are the same. Far from it. Holger’s music continued to evolve. That is what one would expect from Holger Czukay, who was by then, one of the most innovative musicians of his generation, Holger Czukay had been rejuvenated since leaving Can and found a new lease of live musically. Despite that, Can were about to hit the comeback trail. After the release of Rome Remains Rome, former Japan frontman David Sylvian joined forces with Holger Czukay. The pair released two albums together, Plight and Premonition in 1988, and then Flux + Mutability in 1989. Both albums were ambitious albums and saw the two musical pioneers combine abstract, ambient and experimental music. This received praise and plaudits from critics. However, the release of Flux + Mutability was somewhat overshadowed by The Return Of Can in 1989. In December 1986, Can were reunited, and began work on their comeback album Rite Time in the South of France. Many within the music industry thought that Can would never record another album. However, time seemed to heal the wounds and the five members of Can decided to record their twelfth album. For the recording sessions, normal service was restored. Can’s lineup featured Jaki Liebezeit, Holger Czukay, Michael Karoli and Irmin Schmidt, who had written eight new songs. They were joined in the studio by the vocalist Malcolm Mooney. However, Rosko Gee and Rebop Kwaku Baah were nowhere to be seen. They were’t part of the reunion that marked the return of Can. Once the eight songs that would eventually become Rite Time were recorded, three years passed before the album was released. During this period, Can undertook extensive editing of Rite Time. As a result, when the album was eventually released, it was a different album to the one Can had originally envisaged. Critics on hearing Rite Time, discovered that Can hadn’t tried to replicate their classic sound. That remained firmly in the past. Instead, Can continued to reinvent their music. Especially on songs like Give The Drummer Some, which showcased Can’s funky side, while the single Hoolah Hoolah was tinged with humour. Only the album closer In The Distance Lies The Future, hints at Can’s previous abstract, ambient sound. While Rite Time wasn’t the finest album of Can’s career, critics thought it was an improvement on Can and Out Of Reach. When Rite Time was eventually released in October 1989, the album sold reasonably well. 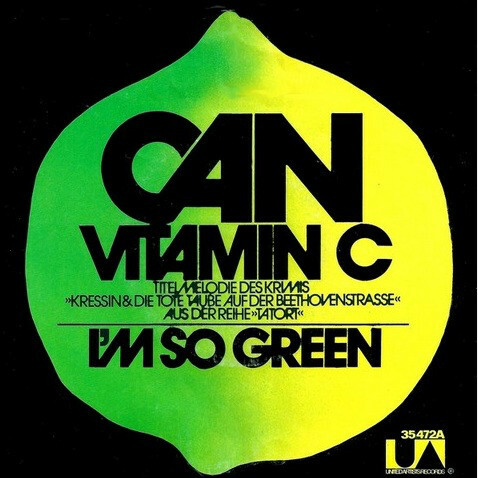 Despite the resurgence of interest in Can’s music and Krautrock in general, the album wasn’t a huge seller. Nor was the single Hoolah Hoolah, which was the last single that Can would release. The Solo Years Part 2. Nearly two-year after Can’s brief comeback, Holger returned with a new solo album in Radio Wave Surfer in 1991. It was much more experimental electronic album, and received mixed reviews from critics. This was a disappointment for Holger, who was concentrating on his solo career now that Can were consigned to the past. When Holger returned with Moving Pictures in 1993, it was released to widespread critical acclaim. This marked a return to form from Holger Czukay. So did Holger’s seventh album Good Morning Story which was released in 1999. Critics hailed Good Morning Story as one of Holger’s finest albums of recent years. By then, a new generation of musicians and record buyers had discovered Can’s music and Holger Czukay’s earlier solo albums. For Holger, an exciting period of his career has about to begin. In 2001, Holger returned with a new album La Luna. It featured one extended work, La Luna, an electronic gamelan piece. This was another stylistic departure for Holger, who continued on his mission to innovate. This mission continued in 2001, when Holger and U-She released the first of two albums together. U-She was the alias of Ursula Schüring née Kloss who was by then, Holger’s wife. They released two critically acclaimed albums together, Time and Tide in 2001 and The New Millennium in 2003. The two albums were very different to Holger’s previous albums, and ranged from the ambient, experimental , new age sound and pop on Time and Tide to the dance-floor friendly sound of The New Millennium. It introduced Holger Czukay and Can’s music to a new and wider audience. Over the next few years, Holger continued to collaborate with a variety of artists. However, in 2007 Holger and his wife Ursula Schüring released a new album together. This time they were billed as Holger Czukay and Ursa Major when they released 21st Century a marriage of synth pop and experimental music. This was a new departure for Holger who was sixty-nine, and hadn’t lost any of his enthusiasm for music. Especially when discussing Can,who nowadays, are regarded as one of the founding father’s of Krautrock. Holger playing and edited Can’s golden quartet of Tago Mago, Ege Bamyasi, Future Days and Soon Over Babaluma. Despite playing such an important part in Can’s golden quartet of classic albums, Holger almost plays down what he has achieved. Later, when Holger enthuses about his solo career, it’s obvious that he feels his solo albums have been overlooked. That was certainly the case for a while. Not any more. More recently, Holger’s solo albums have been reevaluated and have started to find a new audience. This is very different to when Holger released his solo album. Back then, Holger had been a member of Can, who were one of the biggest and most innovative bands in musical history. As a result, Holger solo albums were always going be compared against Can’s albums, and especially golden quartet. Now though, a new generation of record buyers and bands have discovers Holger’s solo albums and of course, Can’s music. Nowadays, Can’s music and Holger’s solo albums still influence and inspired this lasted generation of band. They’re the latest generation who reference Can as one of their main influences. Holger on hearing this, quietly and modestly said “nice.” “We never expected that. We were just a poor man’s band making music.” He admits that: “when we made albums like Tago Mago and Ege Bamyasi, we knew these albums were good, special even. However, we never knew the effect they would have. It’s incredible. I’m proud to have been a part of that.” Holger was part of a wider musical movement, and one that even today, continues to influence musicians worldwide…Krautrock. Can were one of the founding fathers of the nascent Krautrock movement in the late-sixties and were pioneers of the new genre through the seventies. Nowadays, Can are regarded as one of the holy trinity of Krautrock during the seventies. Holger remembers “spending time with the members of Neu! Sadly, we never got the opportunity to play together. That’s a regret. We didn’t even share a bill.” There’s a sense of sadness in Holger’s voice at the thought of two giants of German music sharing the same stage. “Now back then, Kraftwerk were a very different band. They were just an ordinary band, not the art band they’ve become. Their music was very different, especially when you listen to their first two albums.” Holger isn’t envious of Kraftwerk’s success. He seems proud to have known them, and seen them play, before they changed direction. Looking back, the Holy Trinity of German music are all success stories. They’ve all played an important part in modern music. Can, Neu and Kraftwerk were all innovators, who influenced several generations of musicians and music lovers. They’ll continue to do so. However, what if Can were a new band nowadays ? That was the case in 2016, when Holger Czukay’s 1979 sophomore album Movies was reissued and renamed Movie. It’s without doubt Holger Czukay’s finest solo album, and features musical maverick and innovator Holger Czukay pushing boundaries to their limits as he ensures his music stays relevant. This was what Holger Czukay spent a lifetime doing, and why he enjoyed such a long and successful career. Many young and up-and-coming musicians and bands could learn a lot from Holger Czukay and Can the band he cofounded in 1968. 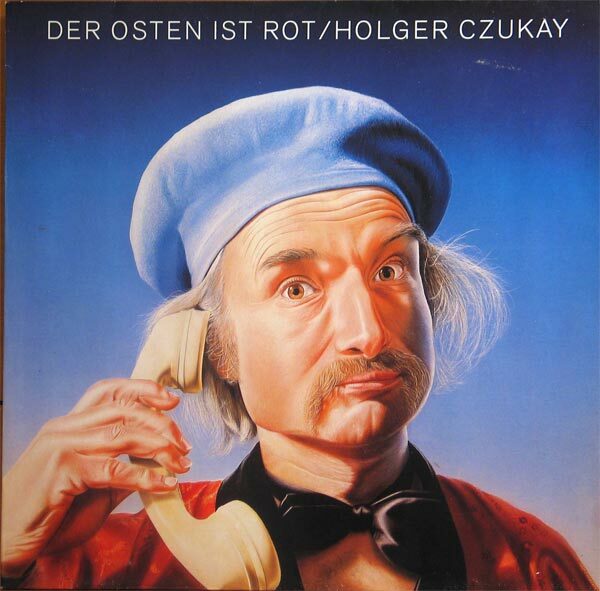 Holger Czukay’s advice to new bands was: “find your own sound.” That what Karlheinz Stockhausen told Holger to do. “It’s what Can did, and I then had do so as a solo artist.” This advice set stood Holger Czukay in good stead during a career that spanned six decades and forty-nine years. During his long and illustrious career, Holger Czukay created groundbreaking music. 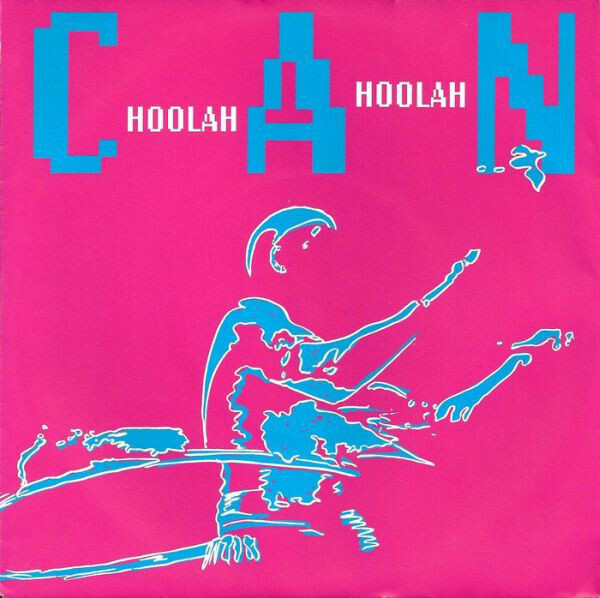 That was the case with Can, and then when Holger Czukay embarked upon a career a solo artist and collaborated with a new generation of artists. This resulted in Holger Czukay’s music finding a new and wider audience. So much so, that by 2017, Holger Czukay’s music was more popular than ever. Sadly, on the ‘5th’ of September 2017, Holger Czukay one of the cofounders of Can and the founding fathers of Krautrock passed away at Can Studio aged seventy-nine. That day music lost one of its true pioneers. The late, great Holger Czukay will be much missed by everyone who ever came into contact with him. This includes his fans, fellow musicians and everyone who was fortunate enough to meet and interview this charming and engaging man. Unlike many musicians Holger Czukay was also a humble man who played down his achievements, rather than talking them. Holger Czukay had achieved more than most, and leaves behind a rich musical legacy. That musical legacy includes Can’s sophomore album Soundtracks and their golden quartet of of Tago Mago, Ege Bamyasi, Future Days and Soon Over Babaluma, plus solo albums like Movies, On The Way To The Peak Of Normal and Rome Remains Rome. They’re a reminder of an innovative and pioneering musician Holger Czukay, at the peak of his musical powers. Whether it was with Can, or as a solo artist, Holger Czukay wasn’t afraid to push musical boundaries to their limits, and sometimes, way beyond. That is what one expects from a maverick musician like Holger Czukay. Throughout his long and successful career, he released some of the most ambitious, innovative, inspiring and influential music of the past fifty years. Right up until his death, Holger Czukay was a true musical visionary who was way ahead of his time. That is why in the future, the music of Holger Czukay and Can will continue to stand the test of time and influence a new generation of musicians. They’ll continue to be inspired and influenced by a true mmusical maverick and innovator Holger Czukay, who was one of the founding fathers of Krautrock and released several classic albums with Can and a string of critically acclaimed solo albums. ← THE RISE AND FALL OF SLY AND THE FAMILY STONE.